Beautiful, precision reproduction 120 MPH Speedometer for all 1969 Chevelles and El Caminos without the speed warning option. 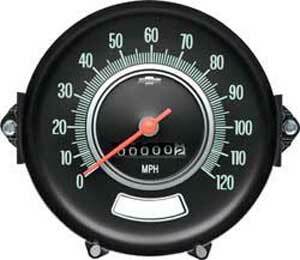 This gauge is manufactured to original specifications for a perfect fit, function, and appearance. Top quality reproduction made by OER.